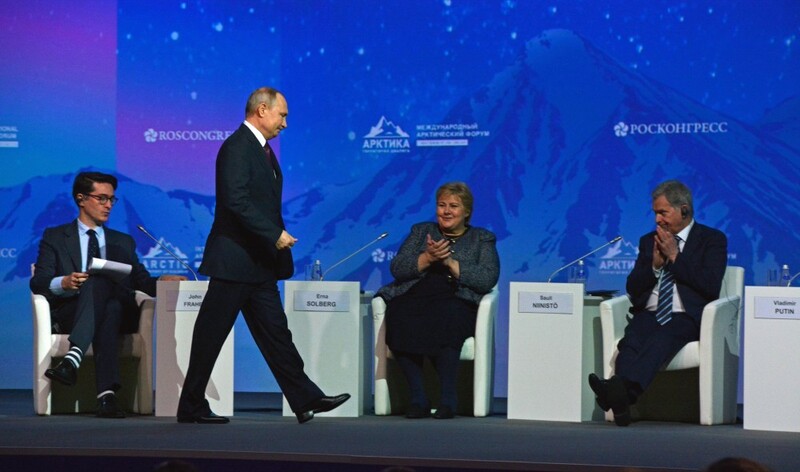 The talks, at the International Arctic Forum in St. Petersburg, are some of the first such high-level talks since 2014. It was raining heavily as conference participants flew into St. Petersburg to participate in the International Arctic Forum, Russia’s high-level conference on Arctic developments. The Arctic is a “territory of dialogue,” emphasize conference organizers in branding their event. This year, however, the forum took place outside the Arctic. It was originally to be held in Arkhangelsk. But the north Russian city is incapable of hosting such a big event, Moscow decided, and at the last minute moved it to St. Petersburg. Russia is an oil and gas nation and intends to stay so. “The resources are truly titanic; they are of global proportions,” Putin told the conference audience and pointed at Leonid Mikhelson, leader of natural gas company Novatek, who sat on the front row.